A new study published online ahead of print in the journal Cancer has shown that long-term therapy with tenofovir disoproxil fumarate (TDF) was associated with a decreased incidence of hepatocellular carcinoma among patients with chronic hepatitis B virus (HBV) infection without cirrhosis. According to the American Cancer Society, there will be nearly 36,000 new cases of liver cancer diagnosed in the 2015 and about 24,550 people will die from the disease. For the study, researchers analyzed data from the pivotal TDF registration studies that followed patients for 384 weeks. Of the 634 patients included for analysis, 152 had cirrhosis and 482 did not. During the study period, 14 patients developed hepatocellular carcinoma. 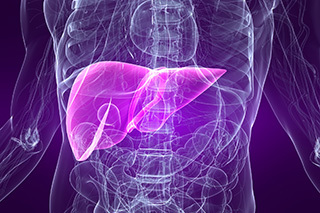 Results showed that the incidence of hepatocellular carcinoma was significantly lower than predicted among patients without cirrhosis. TDF is an oral antiviral medication used to treat HIV infection in combination with other drugs and chronic HBV infection. Long-term therapy with tenofovir was associated with a decreased incidence of HCC among patients with chronic HBV infection without cirrhosis. Efficacy trials have shown that antiviral therapy improves the outcomes of patients with chronic HBV infection. However, prospective data regarding the effect of antiviral therapy on the incidence of HCC, especially among patients without cirrhosis, are limited.